A week ago, during my morning walk I noticed a 4 feet long bamboo stick with a broken edge hanging from one of the mango trees. This tree is one among the four mango trees of a household in a gated community on my walking track. Considering the hundreds of full-size unripe mangoes, I could guess how that stick made it to the top of the tree. Someone living there must have used a long stick to pick mangoes and eventually that stick broke in to two pieces. The top piece got stuck to the tree and the other part remained secure in the hands of that someone! That is easy, and obvious. Daily I notice this stick trapped in the tree at a height of about fifteen feet from the ground. It is surrounded by bunches of mangoes unpicked. Soon those mangoes will ripe, some of them will serve the monkeys and squirrels and the rest will fall on the muddy soil and decay unless there is an attempt to pick as many mangoes before they ripe and start hitting the ground one by one. This is a simple story of an entangled tool that did not live long enough to serve its purpose and four fertile-but-barely-reaped trees. Using a tool like this will result in definitive neck, shoulder and back pain when you attempt to pick as many mangoes from all four trees. When you feel the pain, you will decide to pick less than one percent of the mangoes and leave the rest on the trees. Why? When a mango picking stick breaks, like how it happened in this story, a frugal approach is to find another stick which is about five feet long and tie it with a rope or string to the latter part which was secure in the owner’s hand. As you guess, sooner it will give some happiness with its utility in fetching three or four mangoes and naturally get entangled in the tree or fall apart. In order to get some more happiness, you will fix it the same way yielding to intermittent neck, shoulder and back pain. With bouts of time wasted in mending the tool and an abysmal number of mangoes picked, the story will continue. The story will continue in spite of us knowing that there are better tools for this context. There are hi-tech tools too – they are meant for mango orchards with hundreds of trees. In software testing we come across tools and their ill effects. After years of working you find that one or more of your tools are not serving the purpose and they are entangled in the whole mesh of engineering tools or corporate IT systems. Your tool is too slow or does not make you productive. In spite of brilliant ideas and better choices, you and your team find it hard to retire the tool or replace it with a better tool. Meanwhile, those who recommended or commissioned that tool several years ago live with those victorious memories and continue to recommend that tool. According to them a tool like this cannot have a shorter runway – it is their baby and it has to live longer. With patch upgrades, maintenance fixes, and some face lift – of course, all these applied to the tool – they make it live longer. As a result, this tool destroys value! When I step back and think, I realize that this issue is not specific to software testing. It can happen anywhere and it happens everywhere. In business terms, this is about ongoing issues in fixing recurrent tools related problems meanwhile leaving lot of money on the table and witnessing loss of productivity and increase in stress. You may ask, “So, what do you suggest?” I anticipated this question. Let me answer. I don’t mean to suggest that we need to invest in fancy tools. I want to emphasize that tools must serve the purpose of the present and the near future. Tools need to align with strategic goals related to business growth and help us remain competitive. This means that tool selection should not consider margins or cost-saving alone as a criteria. Tools need to boost productivity. There has to be a strategic investment in procuring, commissioning and maintaining tools. There has to be a periodic review – may be every six months or one year – to introspect and find answer to, “Do our tools create value?” Finally, decision makers including senior leaders must be part of this review to decide on what to do when tools destroy value. 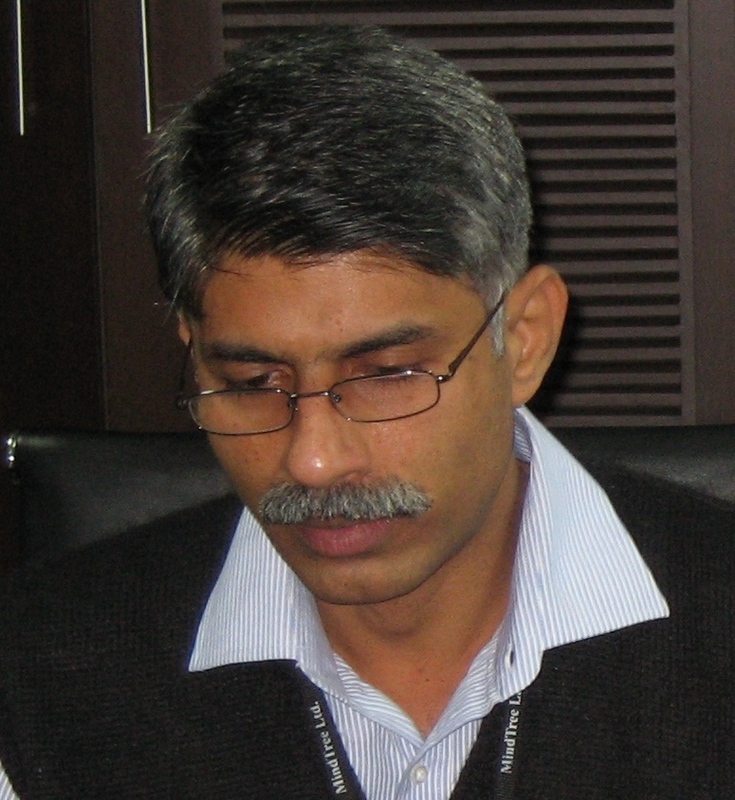 Raja Bavani is Chief Architect of Mindtree and plays the role of Agile Evangelist. He has more than 20 years of experience in the IT industry and has published papers at international conferences on topics related to code quality, distributed Agile, customer value management, and software estimation. He is a member of IEEE and IEEE Computer Society. He regularly interfaces with educational institutions to offer guest lectures and writes for technical conferences. He writes for magazines such as Agile Record, Cutter IT Journal, IEEE Software and SD Times. His blogs are available at http://www.blogs.mindtree.com/author/raja-bavani and http://www.se-thoughtograph.blogspot.in. He can be reached at raja_bavani@mindtree.com. Siguiente Improve your application lifecycle and get it right first time!